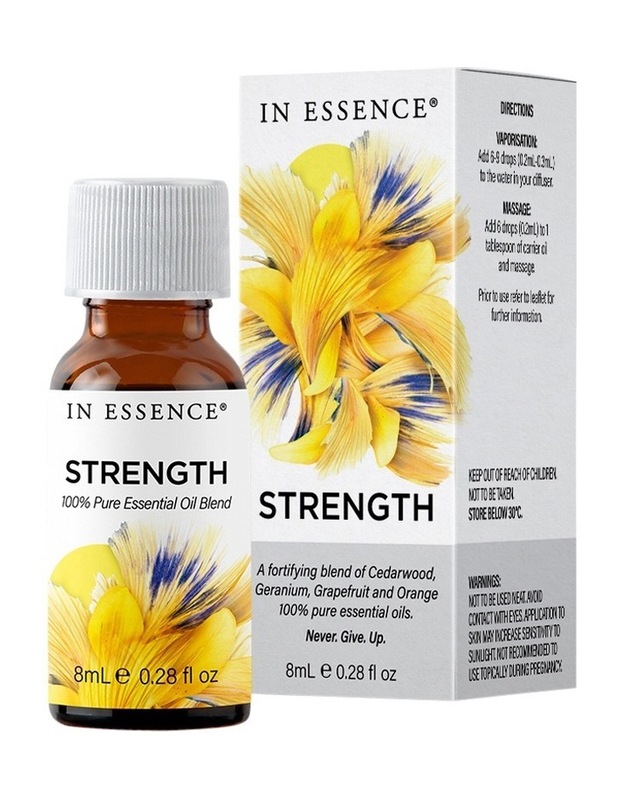 A blend of Cedarwood, Geranium, Grapefruit and Orange pure essential oils to empower and enhance endurance. Blended to enhance endurance. Empower yourself with this fortifying blend of Cedarwood, Geranium, Grapefruit, and Orange pure essential oils. Perseverance and determination will become your new motto. Never Give Up. NOT TESTED ON ANIMALS. Vaporisation: Add 6-9 drops (0.2mL-0.3mL) to the water in your diffuser. Massage: Add 6 Drops to (0.2mL) 1 tablespoon of carrier oil.